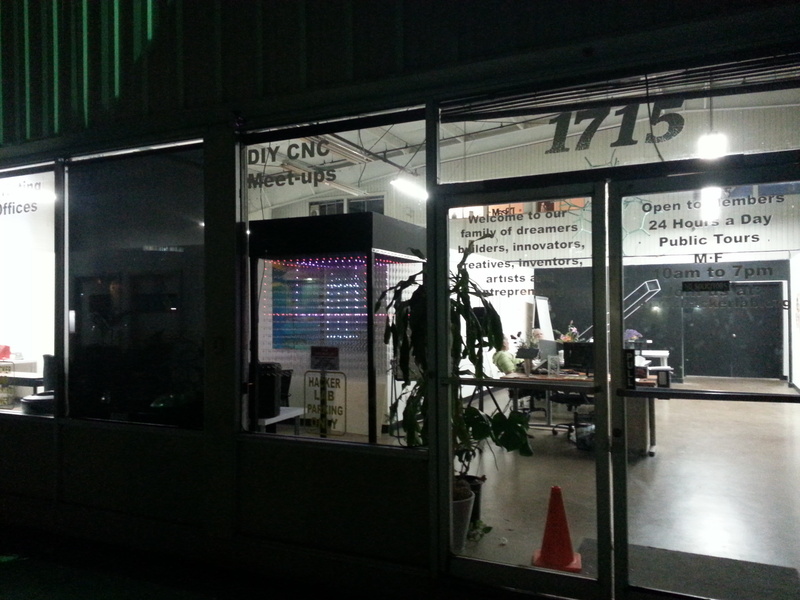 The Creative Economy Pilot Project (CEPP) is an initiative by the City of Sacramento to increase economic activity and improve public spaces through art, food, and technology initiatives. Very cool ... very cool! Back in November 2017, it was announced that I was one of several artists to receive a $5K CEPP grant. With the grant funds, I plan to incorporate interactivity into the cube and deploy it at various locations within the city. I also plan to release the coding and design of the cube to educate and inspire others to learn about electronics, arming them with the realization that you do not have to be a tech genius to build super cool stuff using Arduino! I’m going to use this page to highlight my efforts, both the successes and challenges I am facing. 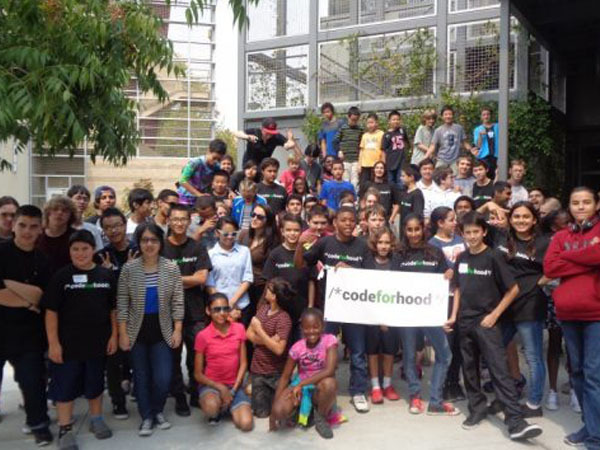 This was an amazing event produced by Alex Trujillo, also a Creative Economy grantee. 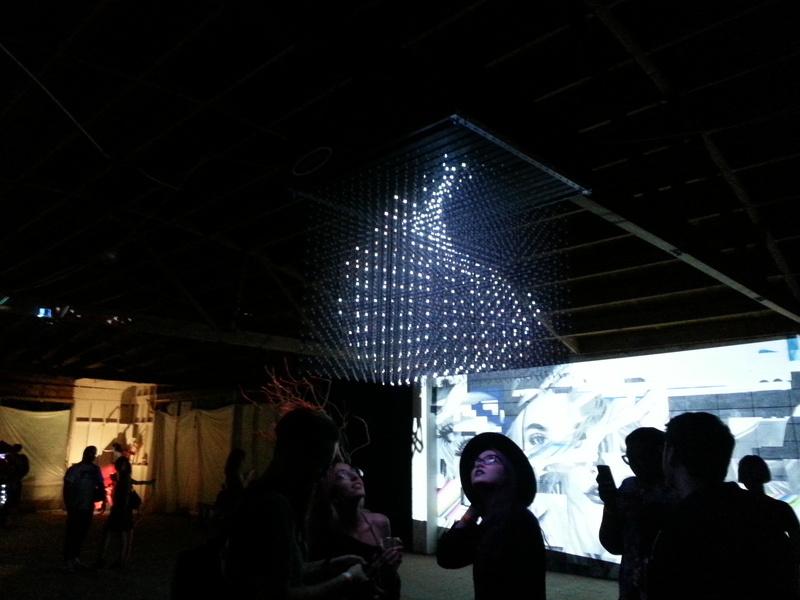 It was an immersive, interactive experience featuring projection art, projection enhanced murals, lasers, LEDs, and light enhanced sculptures, all created by artists in and around Northern California. It also featured the best DJs in Sacramento. 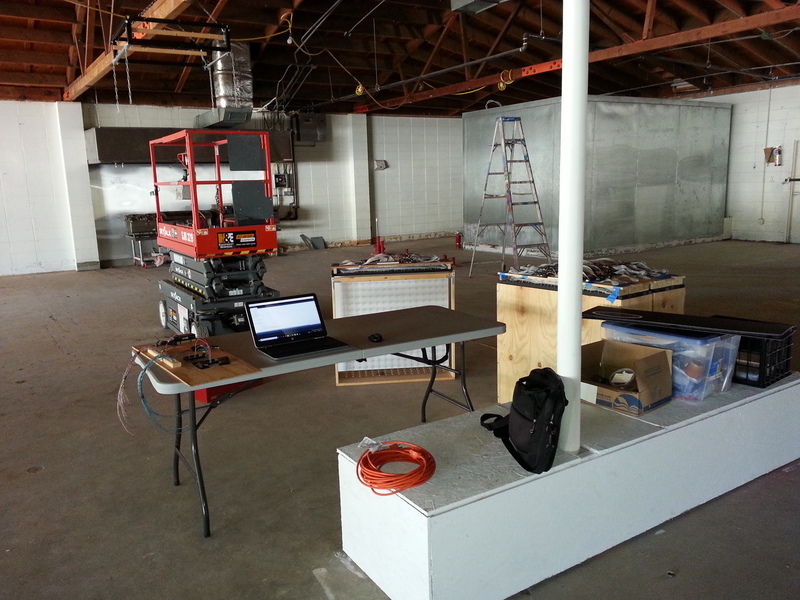 The CEPP grant covered the logistics, setup, and programming involved in hanging and running my cube at this event. I bring you these videos for your viewing enjoyment! 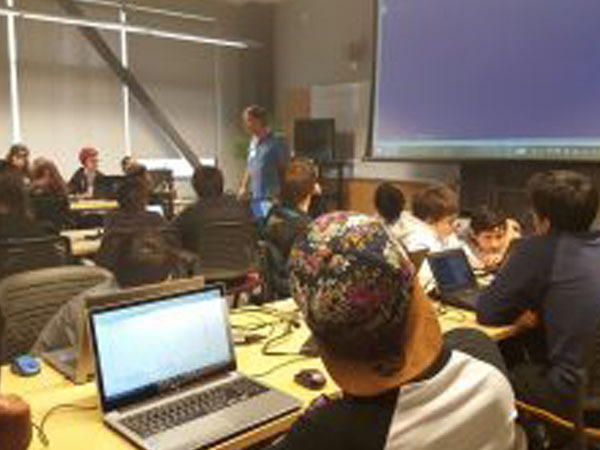 With the help of Nile Mittow and the CEPP grant funds, I was able to program an interactive 3D pong game into the LED cube and present it at the 2018 Code for Hood Youth Hackathon. I convinced one of the hackathon participants’ dads to volunteer for this video, where he attempted to intercept a 3D rendering of the “ball” by waving his hand in front of an Intel RealSense camera. The cube was set up on the main stage where I presented the technology involved to the kids in an effort to show them the amazing things that can be built using the Arduino microcontroller they are currently learning. Many thanks to Alona Jennings and Alan Ware for helping make this happen! One of the challenges I faced, and it is somewhat evident in this video, is the fact that the single Arduino I was using had to do a considerable amount of number crunching and position testing of the ball against the paddle and sides of the cube within each animation cycle. Since Arduino is not multi-threaded, this pushed the performance boundaries of the board a bit. 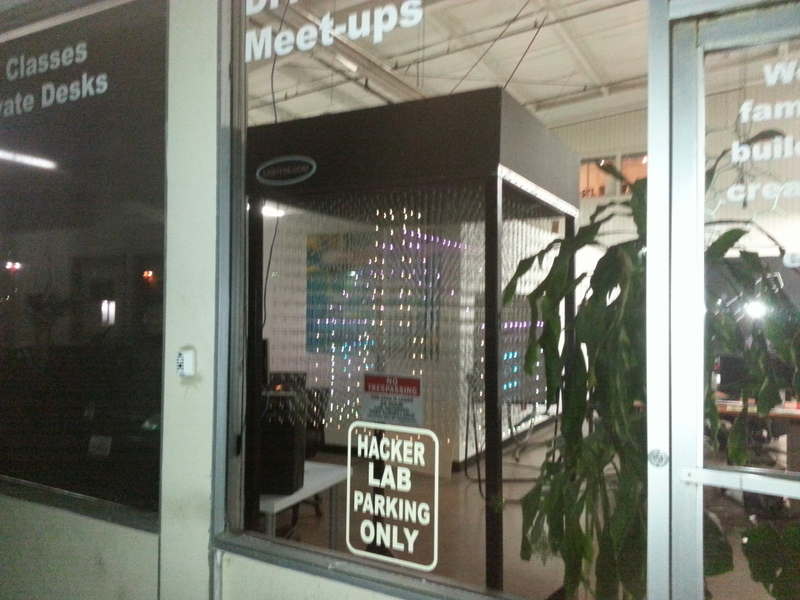 I put the cube on display in the front window of the mid-town Hacker Lab and it will continue to be based there, between public events elsewhere, at least throughout the grant period. The original framework was short and unstable. The CEPP grant allowed me to rebuild the frame to be taller and stronger. The original frame is shown in the leftmost picture, and you can see the difference in the two pictures on the right. The added height enhances the 3D effect, which will hopefully be more eye-catching to bystanders! 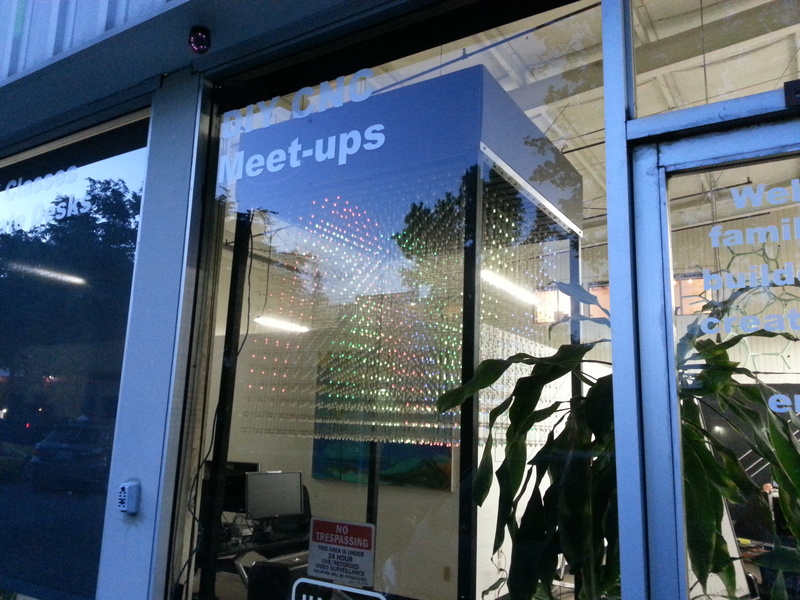 Some of the representatives for the Sacramento Kings stopped by Hacker Lab in early March and noticed my LED cube on display. 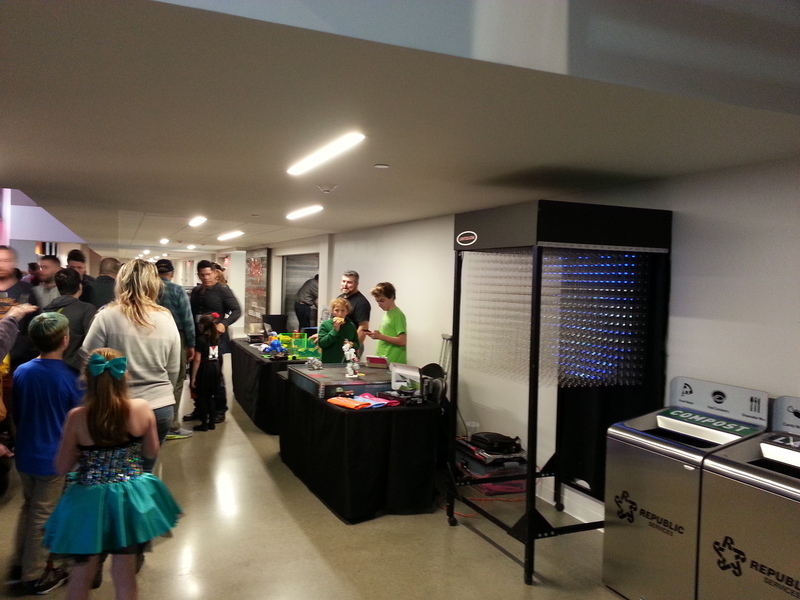 Along with the HackerLab team and Robotics Evolution, I was invited to display the cube at Golden 1 Center for their Tech Night Event. Thanks to the CEPP grant to pay for some of the logistics and programming, I was able to pull it off on short notice. Here’s a video and some pics from that evening. 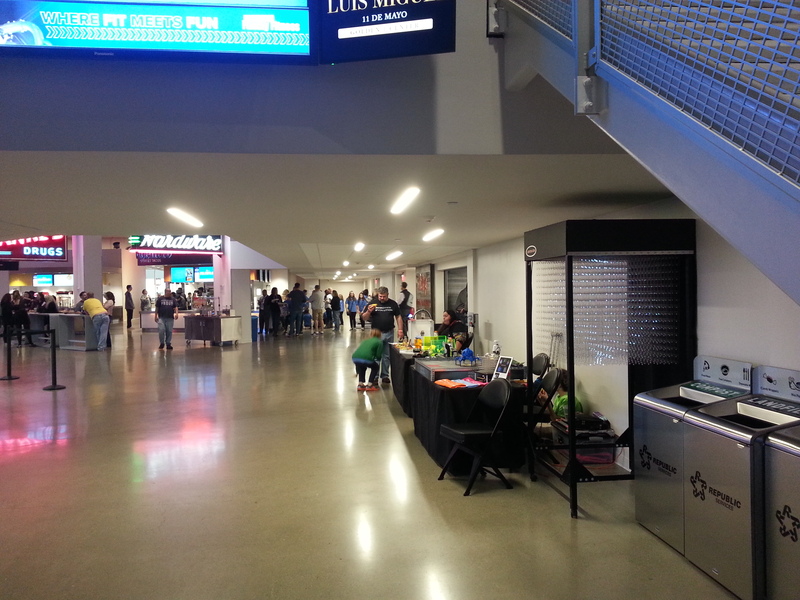 The event occurred during the protest against the Stephon Clark shooting, so access to G1C was closed off to many of the fans. No regrets, though. The protest was important! Lessons learned from this event: Be sure to make use of the loading dock at G1C if it is offered to you! 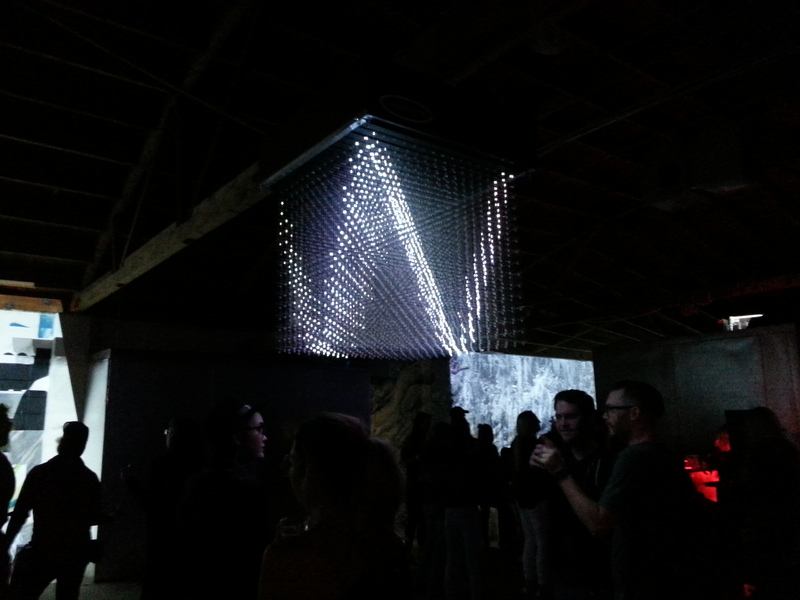 My LED panels got pretty banged up in carrying them around the block from where we parked. We anticipated some rain but not the wind! Fortunately, I was able to straighen out the panels enough to where they all performed well. After a little maintenance work, they are now good as new! 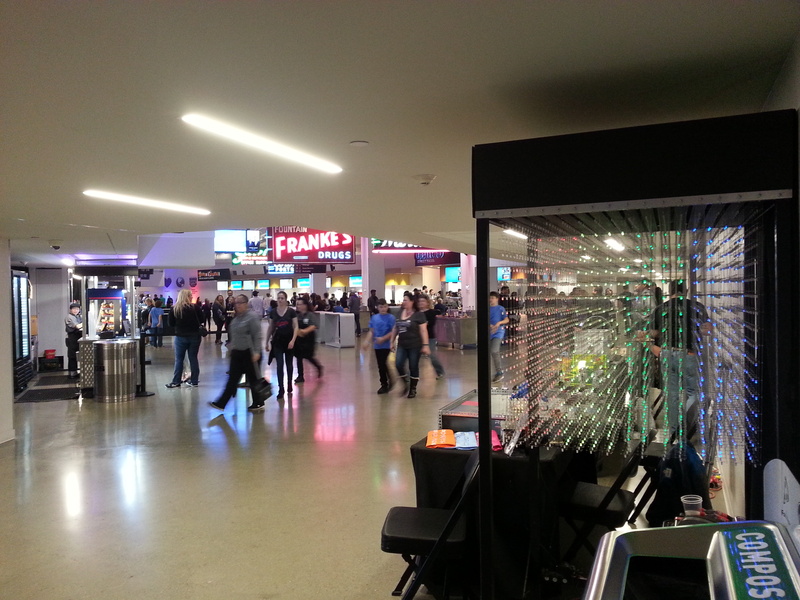 Another highlight of the grant project worth mentioning would be my efforts to get the cube displayed at the 29th Street Light Rail station. After a couple of meetings with the principles involved and a more thorough analysis, though, I decided that there would not have been enough time and budget to cover the permitting, planning, and execution. I admittedly also had concerns about vandalism. The proposal I put together here for Midtown Association reflects what my plan was.